Simple to use, easy to adjust and consistent enough for espresso: The Nuova Simonelli Grinta hits on all three of these key aspects when it comes to grinding coffee beans. The Grinta is built to last with its extremely durable construction and can easily grind more than 10 pounds of coffee an hour. Prefer drip coffee instead of espresso? Unlock the setting wheel and rotate it to adjust between espresso and drip. Push your portafilter into the lever behind the grind chute, and watch as it fills. What's more, the Grinta comes in a spectrum of colors (red, black, chrome and silver) so you can pick the perfect shade to suit your kitchen or cafe decor. Easy To Use - Select a grind setting and push your portafilter into the power switch to get your grinds. No complicated buttons, no menus, no random options, just ground coffee. Precision, Precision, Precision - Don't sit there and worry about how consistent the grinds will be that come out of this machine, it can handle most settings with ease, which won't leave you guessing if your grind consistency is an issue. 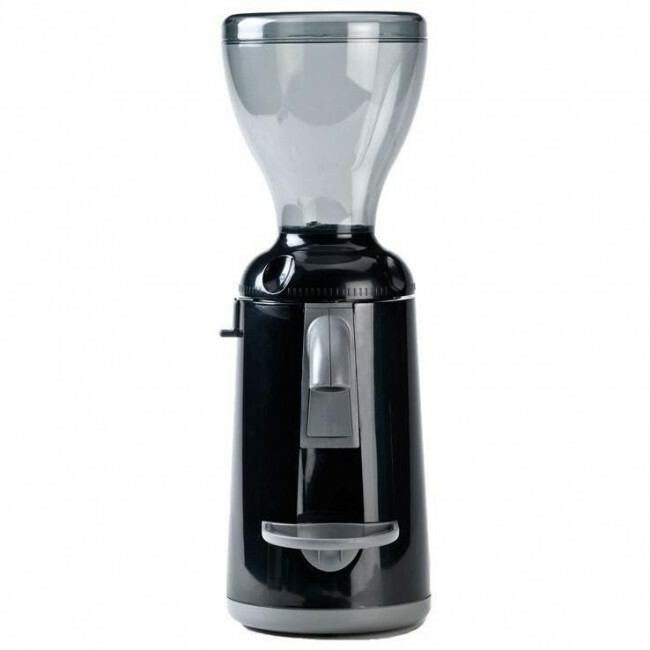 Large Hopper - Definitely big enough that you won't need to be filling beans every day. However we do recommend keeping your whole beans stored air tight, or as close to air tight as possible, to ensure maximum freshness. Easy to Adjust - While some grinders boast all sorts of technical features, such as programmability and timers, the Grinta keeps it as simple as possible so adjusting the grind is easy. 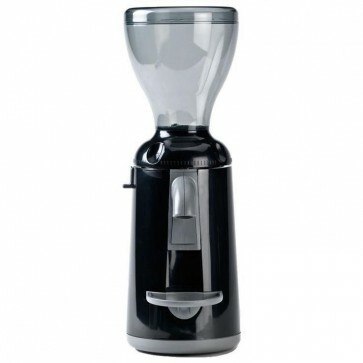 Good Value - The Grinta is a good grinder for the price. Small Footprint - Grinta's slim construction won't eat up any more counter space than needed. Plastic Case - The plastic body on this machine makes it seem a bit cheaper than some of its competitively priced counterparts. Loud - The Grinta tends to grind beans rather loudly. Clumpy - We discovered that the grounds can get clumpy and messy when using the Grinta. The Grinta features commercial-style components at a home-kitchen size. The coffee grounds can get a bit clumpy, so we suggest redistributing them to decrease channeling. We recommend using Grindz every few weeks, depending on the frequency of use.